Goods For The Woods in Durango has all the items you need get the game you’re after during archery season. We have pre fletched and custom made arrows for traditional and compound shooters. We also have field tips, small game heads, and broad heads. Goods For The Woods has all the archery accessories you need including bow sights, quivers, releases, arm guards, arrow rests, cases, holders, silencers, stabilizers, and bow tuning accessories. Practice makes perfect—get the advanced training you need with targets from Goods For The Woods. We have a variety of foam targets, bag targets, and 3D targets. 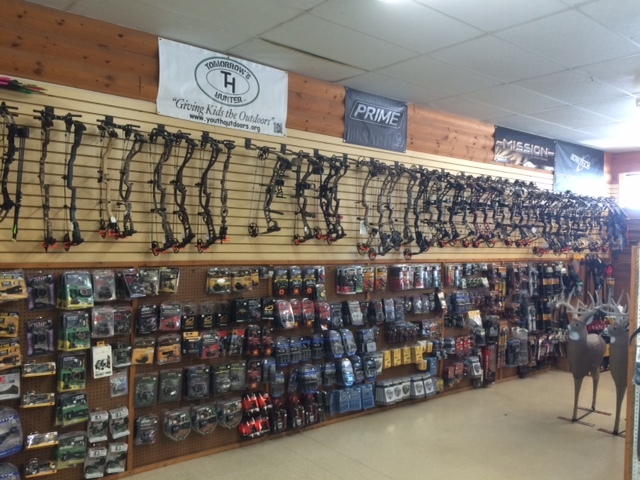 Choose from our inventory of compound, recurve, longbows, and even crossbows from poular industry brands such as, Hoyt, Mathews, Bowtech, and Prime. We have specialized help to get you set up with the bow that is right for you. We have a 20 yard indoor range that makes for the perfect spot for you to practice with your field points.